How many Wi-Fi signals are there in your immediate vicinity? If you live on a terrace, you might see 10 individual SSIDs. How about an apartment block? Wi-Fi signals are broadcast throughout the building, up and down, in and out. In fact, there is a good chance your internet speed is being negatively affected through this cacophony of wireless signals. There is another issue here, too. 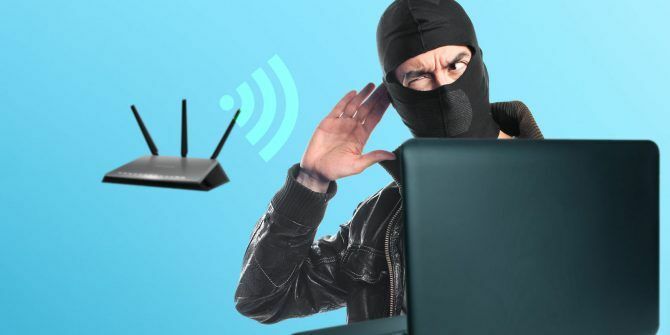 If your Wi-Fi SSID is being broadcast to the surrounding houses and your security is lackluster, there is a chance your internet is being stolen. Here’s how you lock them out. Your first port of call is your router. If a neighbor is stealing your precious bandwidth their activity will appear in your router. Unfortunately, not every router contains or grants access to this information. Log in to your router by typing its IP address directly into your browser. For the vast majority of routers this can be achieved by typing either 192.168.0.1, 192.168.1.1, or 192.168.1.254. The router IP address is sometimes printed on the router itself, along with the username and password needed to login. If all else fails, here is a list of common router addresses. Once logged in, search for a section called Attached Devices or Device List. 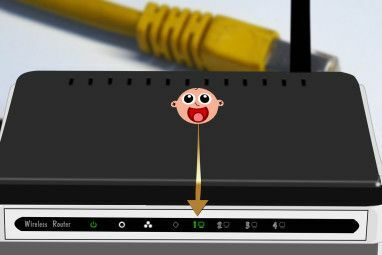 On a router flashed with DD-WRT How to Set Up Your Own VPN Server Using DD-WRT How to Set Up Your Own VPN Server Using DD-WRT Whether you want to crank up home network security or connect to your home network remotely, you'll need your own VPN. Here's how to set one up for free using DD-WRT. Read More , this section appears under Status > Wireless. Once you find the page, check the connected devices. I’ve posted the current wireless connections to my own router below. I can account for every device. If you cannot, you’ve got an intruder. There should be an option to remove, delete, or block the device from connecting to your router. Your router came with a default admin username and password. This should be one of the first things you change. There are numerous websites that allow you to search for default login credentials by router model. This is clearly a risk, so change the admin password via your router’s web page. The thief has a way through your security settings. This, on the presumption that you have enough security to keep someone out. Some routers automatically create a connection for you. They might not use the strongest security settings available. Goodness knows why they wouldn’t, but it certainly happens. You must absolutely use the WPA2 encryption standard to protect your password. If you’re currently using WEP, stop right now! WEP is the oldest, least-secure way to protect your Wi-Fi. WEP is the least effective form of password encryption WPA2, WEP, and Friends: What's the Best Way to Encrypt Your Wi-Fi? WPA2, WEP, and Friends: What's the Best Way to Encrypt Your Wi-Fi? When setting up wireless encryption on your router, you'll come across a variety of confusing terms -- WPA2, WPA, WEP, WPA-Personal, and WPA-Enterprise. Read More : it’s very easy to crack and will only keep out the most casual of casual users. Your router will support the much stronger WPA2 security standard. While it isn’t perfect, it will deter all but the most desperate. If you aren’t sure how to do this, see our article on how to change Wi-Fi passwords on routers How to Find & Change Your WiFi Password How to Find & Change Your WiFi Password Once your WiFi is set up, you feel no reason to remember the password. Until you need to connect another device. What's the password again? Fortunately, it's easy to find out! Read More . This might help in dense concentration of network signals. Your SSID — the name of your Wi-Fi network — will not be broadcast to the surrounding area. However, anyone can use freely available hacking tools to reveal it immediately. Alternatively, rename your SSID 50 Funny Wi-Fi Names for Your Router's Network SSID 50 Funny Wi-Fi Names for Your Router's Network SSID A good Wi-Fi router name makes it easy to find your own network, but a great Wi-Fi network name is entertaining for neighbors. Read More to something terrifying. The Wi-Fi Protected Setup (WPS) is another potential vulnerability that can be exploited to gain access to your internet. 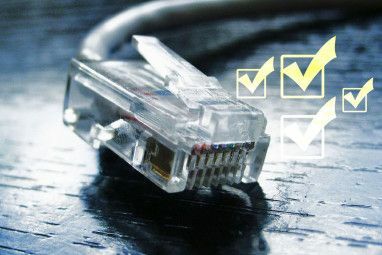 WPS is susceptible to an online brute-force attack when using a PIN to validate new connections. The issue stems from how the PIN is processed. The PIN is an eight-digit number. When a new computer attempts to access the connection using a PIN, it is checked for validity… in two halves. Cutting the number in half drastically reduces the number of guesses needed to recover the PIN. This is further reduced since the second half of the PIN only has three active digits, reducing the number of combinations to 1,000. When a new computer attempts to access the connection, a PIN is created. The PIN consists of eight-digits. The validation process checks the first and second halves of the PIN as separate entities. Furthermore, the second half has only three active digits. Consequently, the first four digits have 10,000 combinations, the second (reduced) three digits have 1,000, resulting in a miserly 11,000 potential PIN combinations. The tool originally created to exploit this vulnerability was sold for a cool $1.5 million. Since then the Reaver exploit has become widespread. Kali Linux users will be familiar with Bully, another WPS-hack tool included with the security-focused Linux distribution The Best Linux Operating Distros The Best Linux Operating Distros The best Linux distros are hard to find. Unless you read our list of the best Linux operating systems for gaming, Raspberry Pi, and more. Read More . How is your memory? Remembering a stack of strong, unique passwords is extremely difficult. I can remember 10–20 on a really good day, and probably after a strong coffee. Luckily, your device will remember your password. All you have to do is change it to something memorable 6 Tips For Creating An Unbreakable Password That You Can Remember 6 Tips For Creating An Unbreakable Password That You Can Remember If your passwords are not unique and unbreakable, you might as well open the front door and invite the robbers in for lunch. Read More . The password becomes stronger with each unique character. Consider, though, an alternative: a passphrase. A passphrase is as it sounds. Instead of combining a really difficult-to-remember set of characters, you can create a much longer passphrase in its place. A passphrase has infinitely more characters, and can still include a few misnomers to throw off a potential hacker. Your laptop, your phone, your tablet, and even your router has a unique MAC address IP and MAC Address: What Are They Good For? IP and MAC Address: What Are They Good For? The internet isn't so different from the regular postal service. Instead of a home address, we have IP addresses. Instead of names, we have MAC addresses. Together, they get the data to your door. Here's... Read More . It can be used to identify specific gadgets throughout your home, as well as the device of a neighbor piggybacking on your internet. MAC filtering is easy to setup. 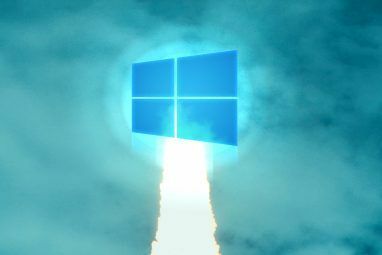 Unfortunately, it is trivially easy to change or spoof a MAC address How to Change Your MAC Address on Windows How to Change Your MAC Address on Windows Fiddling around with network settings is no one's favorite PC activity. Fortunately, some tasks are rather simple. We show you how to change your MAC address on a Windows PC. Read More . You could identify the specific MAC address used by your neighbor, and block it, only to find them back online. The spoofing is an issue, too. If they can connect to your Wi-Fi, there is a chance they’ve noted the MAC addresses of your devices. This would render a proactive whitelist approach somewhat useless as the thief could spoof the MAC of a whitelisted device. Finally, each time you want to connect a new device to your network, you’ll have to find the MAC address and add it to the filtering system. It is extremely easy to keep a close eye on what is connected to your router using your smartphone. There are several ways you can check your Wi-Fi network for suspicious devices How to Check Your Wi-Fi Network for Suspicious Devices How to Check Your Wi-Fi Network for Suspicious Devices Are you worried that strangers or hackers might be on your Wi-Fi network? Here's how you can check and how to do something about it. Read More , but we suggest Fing, which is a free app that’s available for both iOS and Android. Fing lists each device currently connected to the same Wi-Fi network as you, and displays a handy range of information. You can add specific information relating to your devices to keep track of them. Lock Down Your Wi-Fi Network! In all seriousness, the biggest and easiest thing you can do right now is ensure you’re using WPA2 with a strong password or passphrase. If someone is looking to leech your internet, they’re highly likely to be deterred by this combination. See additional tips for securing your Wi-Fi network in minutes 7 Simple Tips to Secure Your Router and Wi-Fi Network in Minutes 7 Simple Tips to Secure Your Router and Wi-Fi Network in Minutes Is someone sniffing and eavesdropping on your Wi-Fi traffic, stealing your passwords and credit card numbers? Would you even know if somebody was? Probably not, so secure your wireless network with these 7 simple steps. Read More . Explore more about: Wi-Fi, Wireless Security. This is one of the few occasions where it is OK to write down your password and paste it to the bottom of your router. After all, if someone has broken into your house and has physical access to your equipment then you are compromised anyway. The password need not be memorable, just 16 to 20 random characters. Or don't write it down and just do a hardware reset on the rare occasions (for most home users) you need to access the system . . . or use a password manager which is the best overall solution to passwords. Also, don't forget about using WiFi-blocking wallpaper. It had tiny metallic threads in it that absorbs/blocks/scatters the RF signal. Believe it or don't I had to use some a few years ago to prevent interference from a neighboring dentist office. It seems when they were using their drill, the high-pitched frequency was disrupting the WiFi signal (and others). The wallpaper remedied the problem. It was quite expensive, though, but paintable if desired. Interesting, I genuinely hadn't considered using it in the article. It seems like -- as you say -- quite an expensive solution that should only be considered when everything else fails. But it sounds like you'd really reached the end of your tether. A pain worse than toothache, you might say...I'm sorry, that was so, so dreadful. 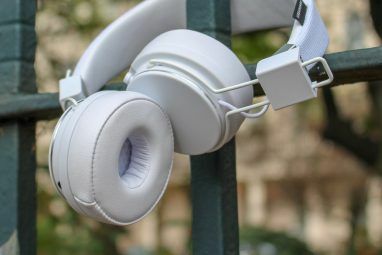 You can also use directional antennas to focus your signal at a specific area thus it'll deter people from gathering the signal at broad ranges. Do you have to use this in conjunction with reduced signal power to be truly effective? It depends on how the setup will be appropriate for which group whether if you're deploying it in a corporation or to a few users. If you have one AP then minimize the power to reduce the signal coverage is one but tailoring that to your specific environment is also a good idea.